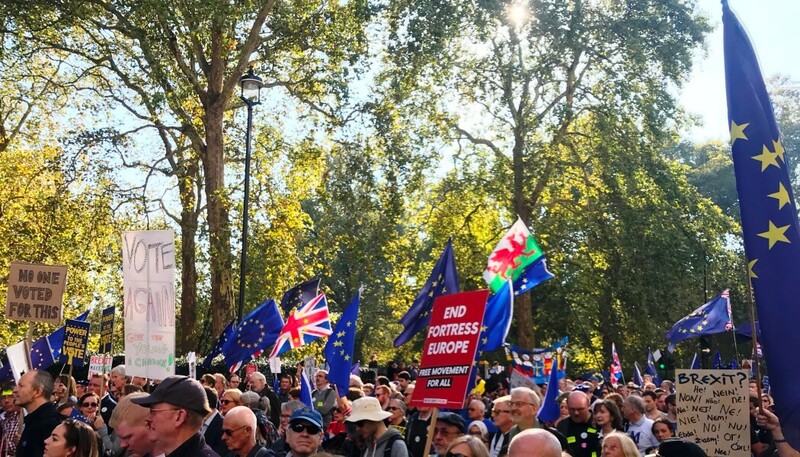 The Museums Association notes that No Deal Brexit would have a highly damaging impact on: the communities that museums serve; people who work in and with museums, and the sharing of collections, ideas and expertise across European borders. The prospect of a No Deal Brexit is a matter of concern for the UK’s museum sector. We urge the UK government and politicians of all parties to take all necessary action to avoid this scenario. We set out our most pressing concerns below. The UK government forecasts up to 10% less GDP growth over the next 15 years in the event of a No Deal Brexit. This would have a damaging and divisive impact on many communities that museums serve. In addition the UK’s museums sector is already in a fragile financial position after a decade of austerity and could struggle with the substantial financial losses that could arise from loss of earned income, philanthropy and public funding in the event of a No Deal Brexit. We are concerned about the prospect of further museum closures, reduced opening hours, staff reductions and a reduced public offer at precisely the time when communities most need museums and the powerful role they can play in society. The prospect of substantial delays to import and export of goods and the movement of people through the border under a No Deal Brexit raises a number of risks to the museums sector. There is a danger that increased security and border checks will lead to a drop in visitors to the UK from the EU and that the UK’s status as a visitor destination will be undermined. Items which are being lent/borrowed by museums in the UK for exhibitions are likely to be held at the border for long periods, increasing the security and conservation risks to these works. Where these items are covered by the Government Indemnity Scheme the financial risk to these items lies with the UK Government. We are concerned that disruption at ports will lead to disruption to exhibition programmes. In addition to travel disruption, there is also substantial uncertainty about the future of export licencing regulation in the EU under No Deal. Ultimately, the combination of transport disruption and lack of clarity on regulation will lead some museums to decide not to lend and borrow to/from European partners, thereby reducing the breadth and quality of exhibitions that UK museums are currently able to offer. This will also undermine their ability to support the Government’s developing soft power agenda. We are concerned about disruptions to supply chains that allow museums to remain open and provide a high quality service to the public. In particular, we believe that disruption to food imports will create substantial difficulties for staff and audiences, as well as damaging the reputation of our museums. We are concerned at the loss of EU funding under a No Deal scenario – particularly for Horizon 2020 and Creative Europe, where we have received assurances previously that the UK will continue to participate in these funds, which provide vital funding for research, exhibitions, technological development and community engagement in the UK’s museums. There is an additional concern for University Museums that the loss of access to EU research funding will undermine their ability to deliver collections-based research projects. The UK museums sector has substantial links with European partner organisations and employs a large number of EU citizens. We believe that the confusion around the EU settlement scheme is unacceptable. No Deal would heighten the concerns of our EU staff, and will make it more difficult for museum in the UK to retain EU staff with specific areas of expertise. It will also cause problems for museums staff travelling to the EU, as existing schemes that guarantee health care and other rights will cease to operate under No Deal. We are concerned about a range of issues which may affect data transfers and copyright in the event of a No Deal Brexit. These include the loss of copyright exemptions for Orphan Works and the ceasing of the application of the Orphan Works Database in the UK. This will mean that substantial amounts of digitised material currently made accessible by UK museums may need to be taken offline, or could open museums to copyright infringement claims. For some museums, this would necessitate substantial resources to rectify, while also reducing public access to collections.